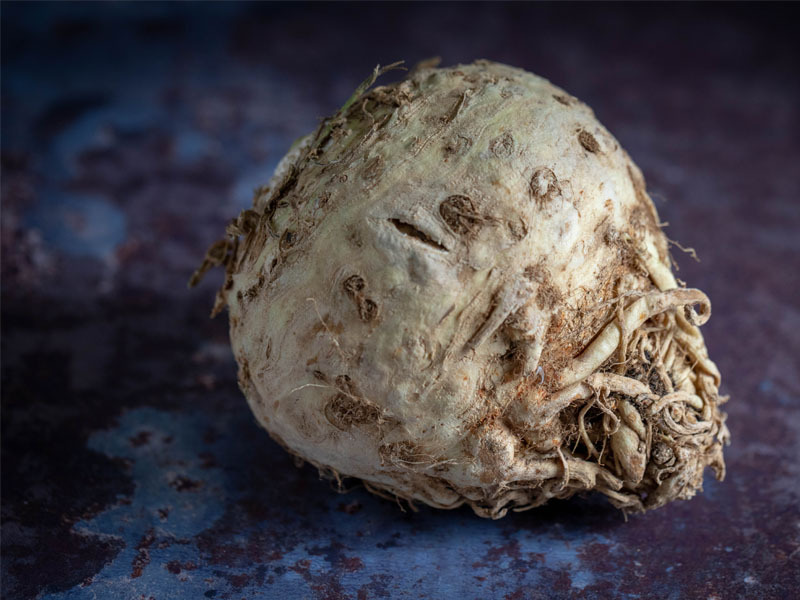 There is a celeriac revolution going on in the Cowap household! 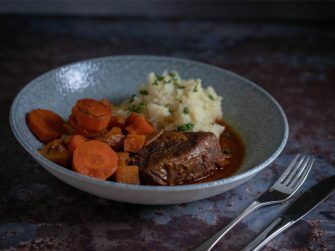 As we swap high starch carbohydrates such as potatoes out of our diet, we are exploring the glory of so many other vegetables on offer and their versatility! Celeriac is at the top of our hit list; a vegetable I have long ignored due to its ugliness and my utter naivety as to what to do with it! When I was told to ‘just treat it like a potato’, a whole world of tastiness and experimentation opened up to me! It’s a little tough to peel similar to a swede, but with a good knife and a little brute force, you’re soon in! Chop it like a potato to your preferred shape and then boil, bake, cook as you wish! This unattractive vegetable has a nutty celery-like taste and a very similar texture to potato in its various forms. Celeriac chips – who’d have thought? 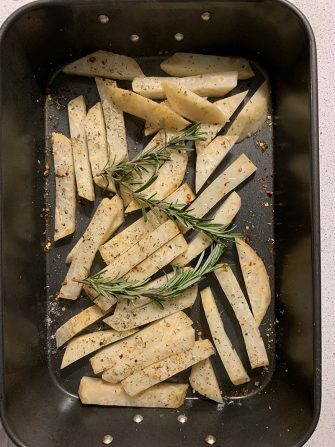 Parboiled and roasted for 45 minutes with chilli flakes, oil, mixed herbs and Himalyan pink salt – they were divine. Enjoyed aside a fillet steak, roasted carrot batons & asparagus! Totally Clean & Lean and totally delicious! And then there was the celeriac roasty revolution! Parboiled and then over roasted in oil and Himalyan pink salt. 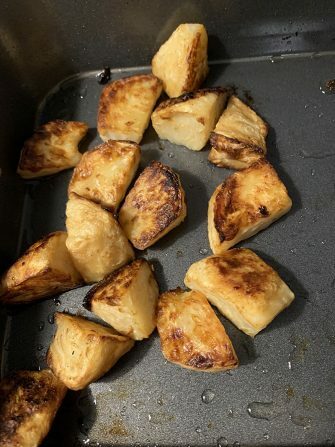 They tasted divine and I even hoodwinked some family members to thinking they were eating roast potatoes as part of their roast dinner! Oh and I haven’t even mentioned the celeriac dauphinoise – wow! See our creation here! There will no longer be a need to ignore the unfamiliar produce at The Hollies Farm Shops as your eyes align with the familiar. Enjoy putting amazing flavours together and experiencing the health benefits of such fabulous foods. If you’re ready for a food revolution, where amazing tastes of goodness open up to you and offer many health benefits, then Clean & Lean by Emma Wilson Fitness is a great choice. A no nonsense, simple approach to eating, means you can enjoy real food, consume good healthy fats which are vital for good brain function, bone health and physical wellbeing and learn which foods to choose for YOUR life, giving you the best chance to THRIVE. • More energy, no slumps, balanced blood sugars. • Less bloat, improved IBS symptoms, better sleep and less cravings. • All this and you can shed body fat! No need to get to a class or group, it’s all online in a private group. You receive full support from Emma Wilson, recipes, weekly guidelines and home workout videos. Fresh outlook, fresh food, fresh start for your health and wellbeing. Get in touch with Emma to find out more. Look out for Clean & Lean products around The Hollies Farm Shops, highlighted by the Clean & Lean stickers and shelf edgers.